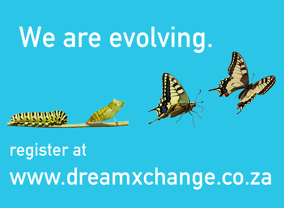 We are evolving into dreamXchange, an online portal that connects people who are offering or requiring opportunities. Opportunities would include work opportunities, mentorship and training, or donations of equipment to help others into self employment. It’s about people helping other people…..and building a new peoples economy in the process. Register to join! LET’S GET SOUTH AFRICA WORKING! 26,6 percent of South Africans are unemployed. That is the official statistic. The reality is probably much higher. We, at DreamWorker remain undaunted by this statistic. 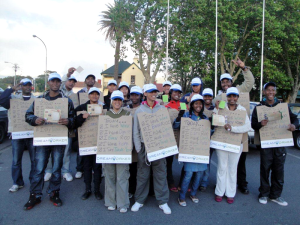 It is our goal to get as many people into employment opportunities as possible through our endeavours. That is why we don’t charge fees…..either to employers or employees. Instead, we rely entirely on grant funding and donations, which are fully tax deductible. That means our employees get to take home every cent earned. We truly believe that every single person we help, means another life brightened, another ray of light in this, our rainbow nation. We will never ever stop in our quest to find a way to help those that need us to believe in them. Become a part of our DreamTeam and help us to Dream big! Interviewed, registered, supported, empowered and inspired over 21 000 unemployed people. Facilitated over 3,8 million days of work for people in the domestic, business, retail, food and industrial sectors. Generated over R510 million worth of wages for the previously unemployed! Our subsidiary programme, Link of Love, has been raising funds separately, to allow unemployed people to work in the community (R100 a day). Since its inception, Link of Love has raised enough money to facilitate 4 969 days of paid community work. This has resulted in R496 900 being put into the hands of the unemployed! Happy pamphlet distributors – they may look unemployed but they are NOT!